Think of business marketing, and one of the platforms that knocks your mind is social media. Right? Though it is important to bring your brand on social media platform, it is even more important to stay active always. Well, if we talk about Facebook, the platform keeps on adding new exciting features which give consumers a better user experience in every way. Do you know what kind of trends 2016 holds for this platform? Just go through the blog and see how you can enhance your business in the year coming ahead. The recent introduction of a new tool named as ‘Search FYI’ is meant to personalize the results. This updated search tool includes current news stories and various popular posts, thus allowing businesses to create SEO content that goes well with social media. Yes! You would have the chance to share your content through Facebook. So, 2016 comes with the concern of SEO on social media. What if you have an opportunity to promote your brand on Facebook messenger? Yes! Presently available in U.S only, the application ‘Businesses on Messenger’ influences a business to enhance its customer service by interacting with people personally. Moreover, the consumer can easily be notified about any kind of order confirmations, shipping status, and any other query that a customer might have. The year 2016 is expected to have this significant feature in India as well, thus allowing businesses and consumers to take benefit from it. Another significant trend that is currently in its initial stage is the introduction of a virtual assistant. It’s a service that aims to accomplish the tasks for you. Yes! It allows you to perform tasks like buying tickets, products, and many more and you can do so without leaving the messenger. If you talk about its use for a business, the software is currently accessible to a limited number of users. However, in future, Facebook is supposed to rely on its own data in order to determine the reliability of a brand. What if the users have an opportunity to get through the interactive articles without having to leave the application? Obviously, it would be a great attempt to keep users on site. Publishers, in future, might create interactive articles on this platform, thus loading them instantly. Though it enhances the experience of user of going through the article, it might prevent the user from visiting the publisher’s website. So, it’s you who need to analyze whether this comfort would affect the traffic of your website or not. You need to examine and measure the consequences accordingly. 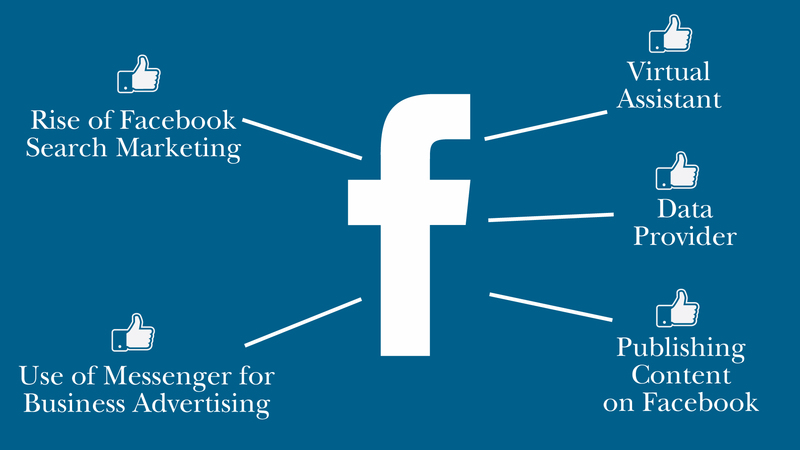 If you see the current situation, the marketers are not able to see the majority of Facebook data. Yes! Businesses, apart from having complete accessibility to their own page, do not have any idea of the conversation about their brands. However, the future holds place for a new API known as PYLON whose function would be to provide anonymized data with clear insights, thus allowing an advertiser to know about the events and activities that are taking place in the market. ‘Mamsys Consultancy Services’, a top-class digital marketing company in India, looks forward to provide all the essential services that are being predicted for the year 2016.